Grandfather Chen San-yuan went viral in August for creating a bicycle with phones strapped to the front, allowing him to travel and play the game – but has now strapped the contraption to his body and added more phones. Chen spends more than £1,000 a month on his hobby and has become known as Uncle Pokemon in Taiwan due to his love for the augmented-reality mobile game. Chen’s contraption features a bag of batteries allowing him more than 20 hours of playing time and he is often seen playing into the early hours of the morning in the city of Taipei. Speaking in June, Chen said he had other smartphones not on his original bike creation, but was waiting until their in-game Pokemon trainers reached level 30. Chen added he does not take part in Pokemon Go gym battles because it would be unfair on other players and does not want to hurt their feelings. 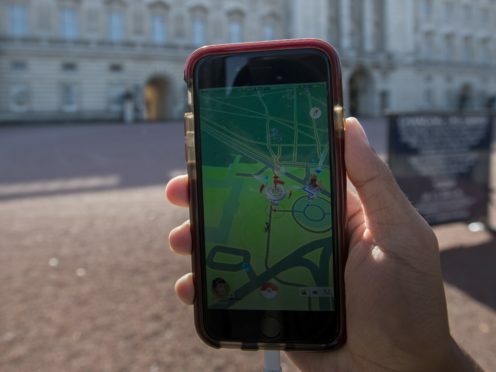 Pokemon Go was released in July 2016 and sees players walking around the real world to catch and upgrade Pokemon.